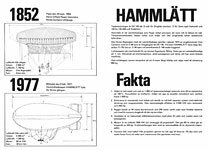 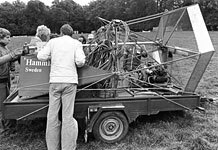 The airship "Hammlätt" was designed and built in 1976 by an enthusiastic group of Swedes calling themselves the Scandinavian Lighter than Air Society. This group was comprised of Jan Balkedal, Hans Åkerstedt, brothers Mikael and Wilhelm Klingberg, and Kurt Dahlström. 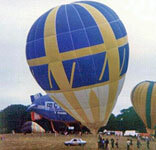 Cameron Balloons of Bristol, England assisted with stress calculations and manufactured the envelope to their design. 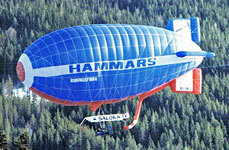 The airship was designated a Cameron DS-140, serial number 200. 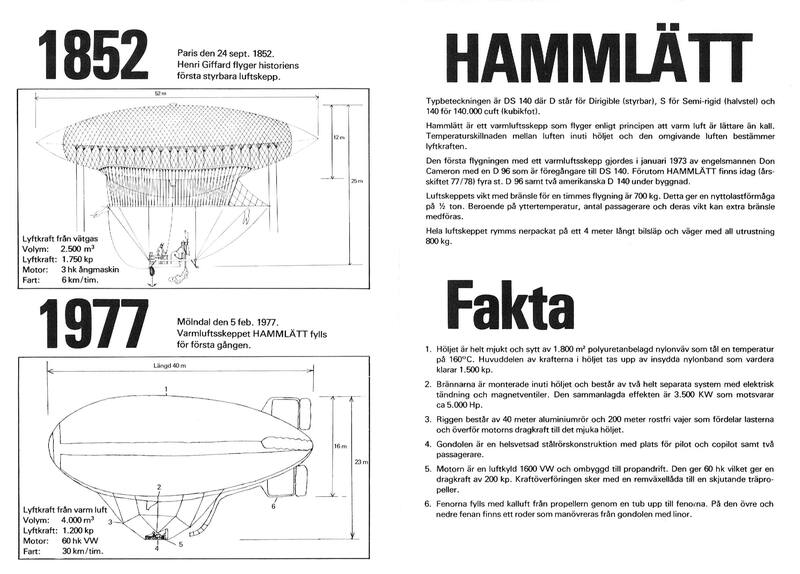 The "D" stood for Dirigible, "S" for Swedish, and "140" for the volume of the envelope, 140,000 cubic feet. 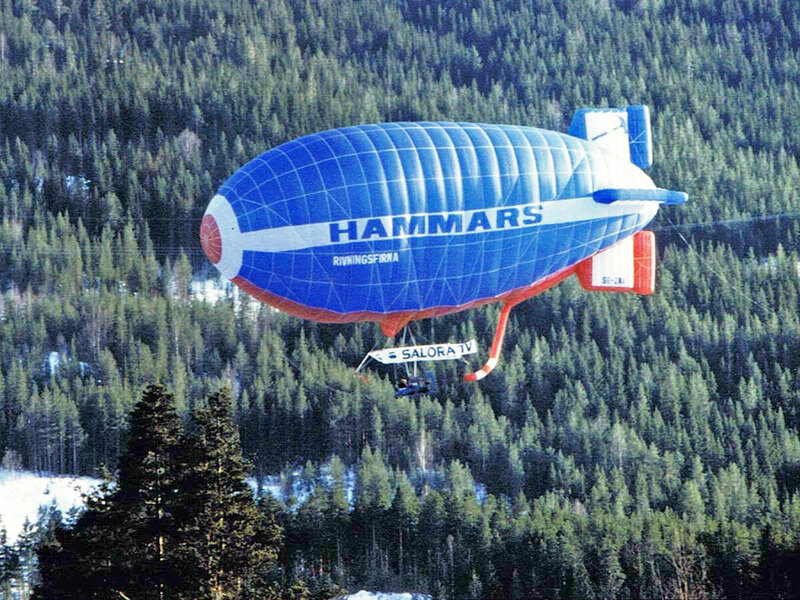 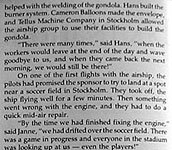 The airship was sponsored by HAMMARS, a housebuilding and demolition company in Gothenburg. 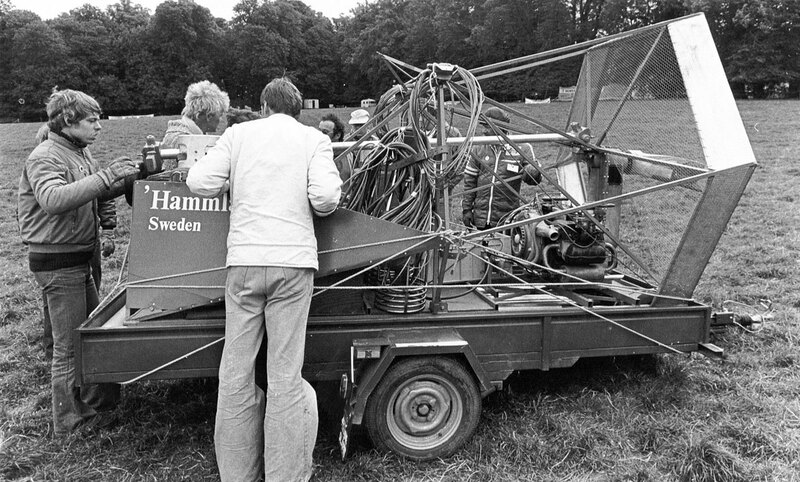 The name Hammlätt is a conjunction of the sponsor's name with "lätt", the Swedish word for light. 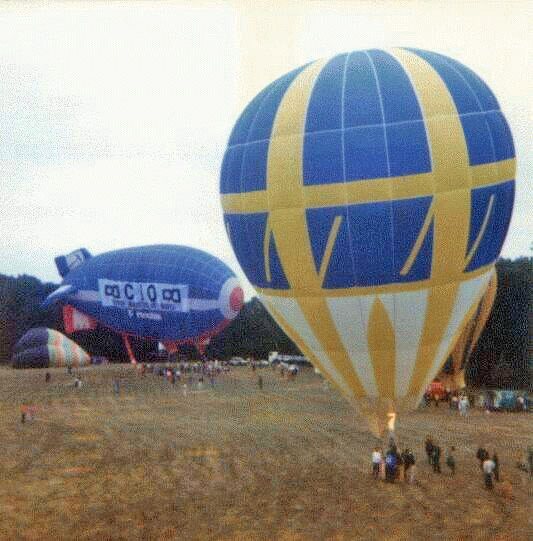 At the time of its construction, there were no requirements written yet for the manufacturing of balloons in Sweden, so the existing rules in England were used. 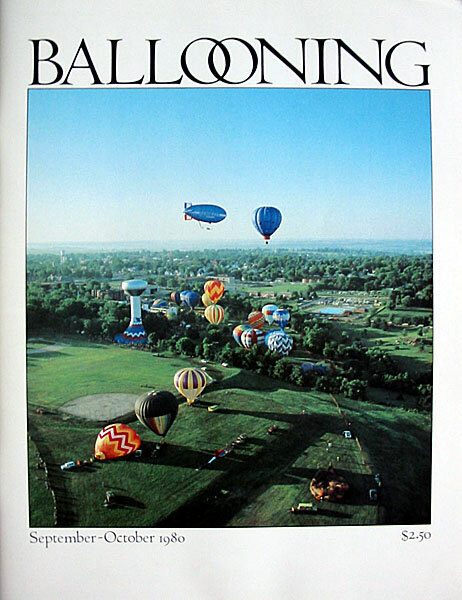 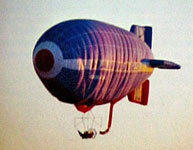 As Cameron Balloons was an approved manufacturer, they were the builder of the airship for approval purposes. 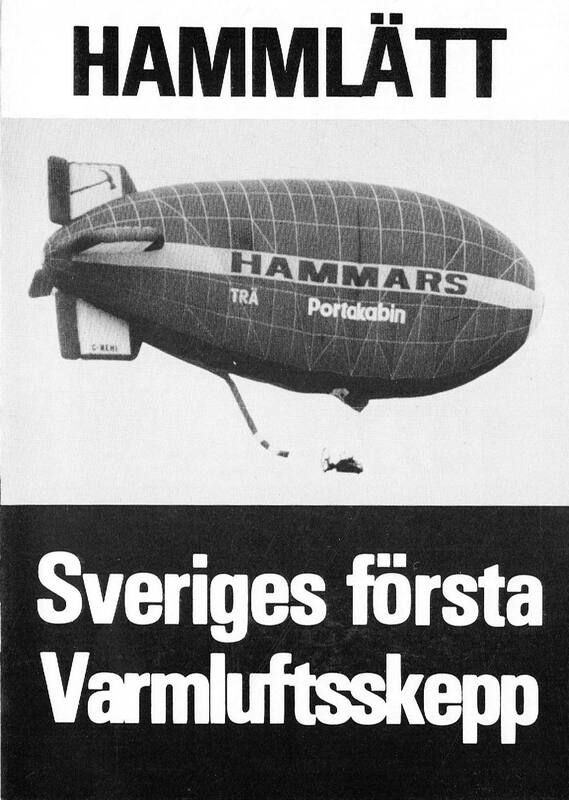 Despite the British history of the ship, it is still regarded as a Swedish design. 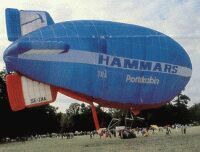 Nothing was changed on the design of the airship as a result of the joint venture with Cameron, but many design elements were initially borrowed directly from the Cameron D-96. 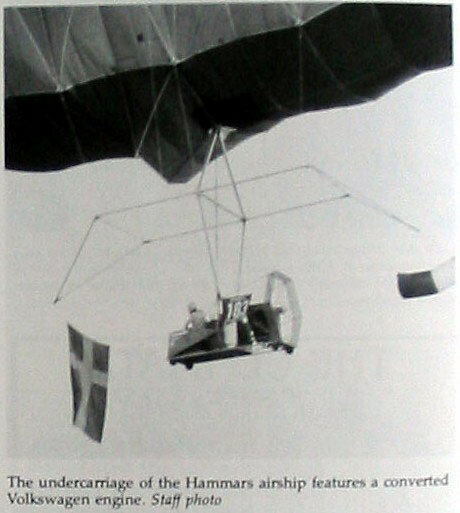 Propulsion was provided by a 60hp Volkswagen engine converted to propane, and the fins were pressurized by a fabric tube positioned in the propeller slipstream behind the gondola. 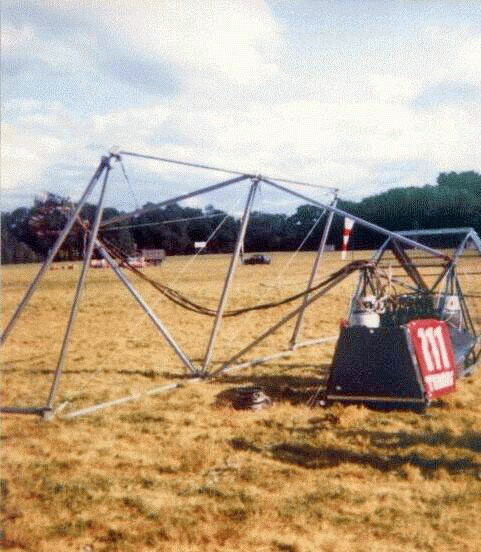 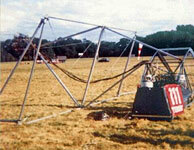 The gondola hung from a unique aluminum framework which spread the payload evenly between 14 attachment points at the base of the envelope. 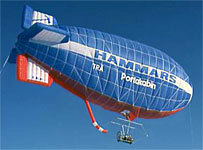 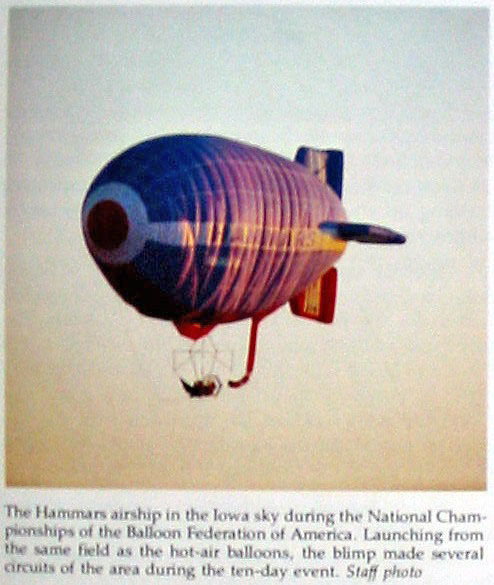 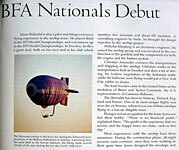 This is the only hot air airship built to date which has used a suspension system of this type. Up to four occupants could be carried by the airship, but pilot and one passenger appears to have been the norm. Typical measured speed of the airship was 13 knots (24km/h). 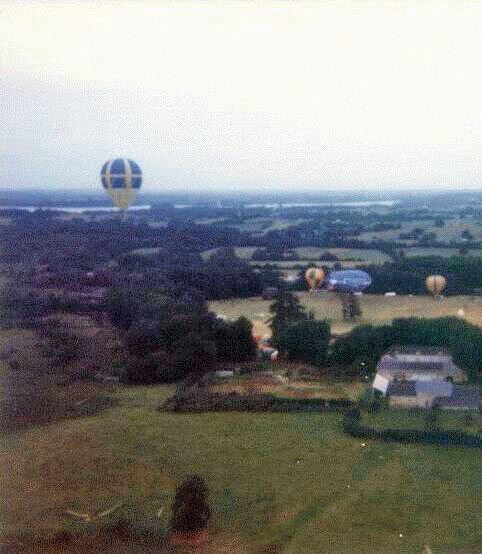 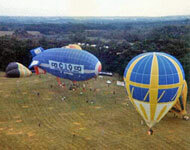 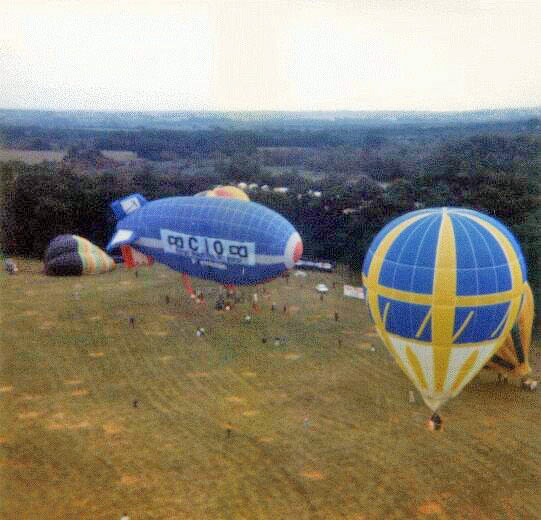 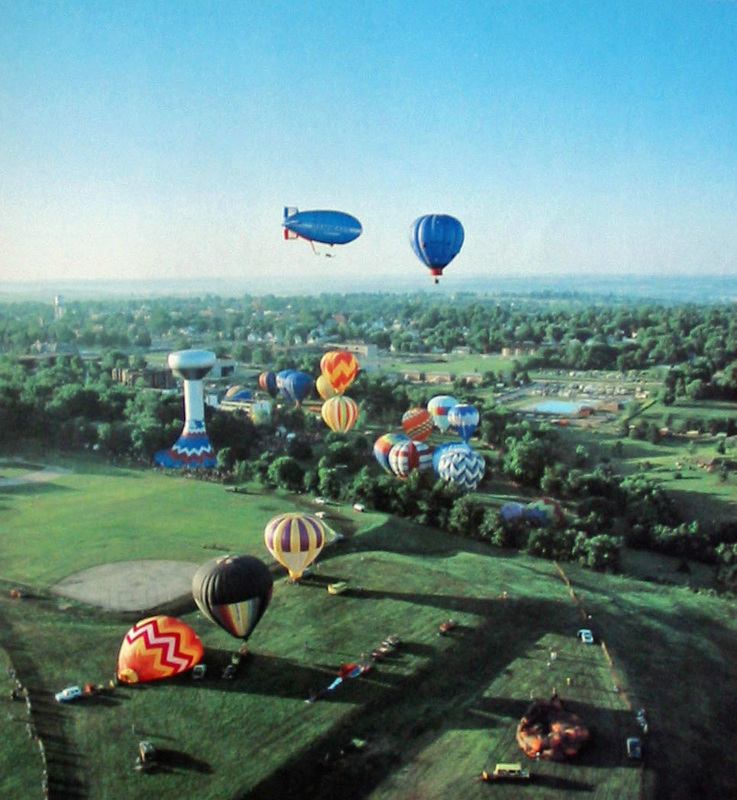 The airship was first registered in England as G-BEHI on October 25, 1976. 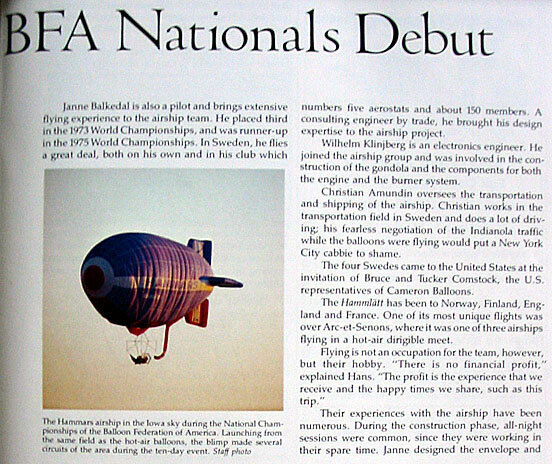 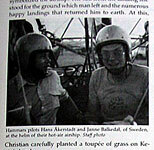 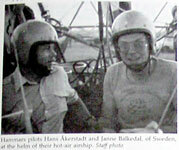 The first flight was made on April 4, 1977 at Sundbro airport in Sweden. 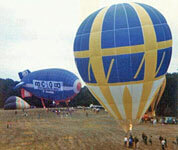 All flights were considered test flights until August 7, 1979 when it was issued an Export Certificate of Airworthiness. 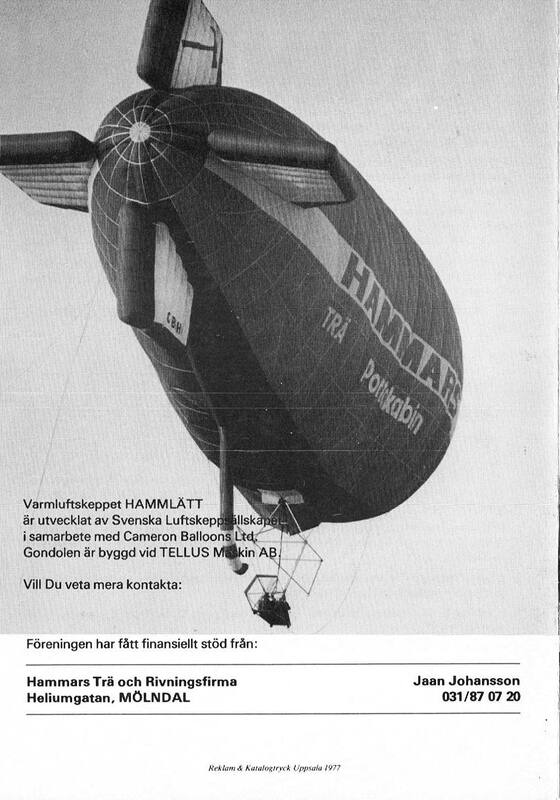 It was then registered in Sweden as SE-ZAA. 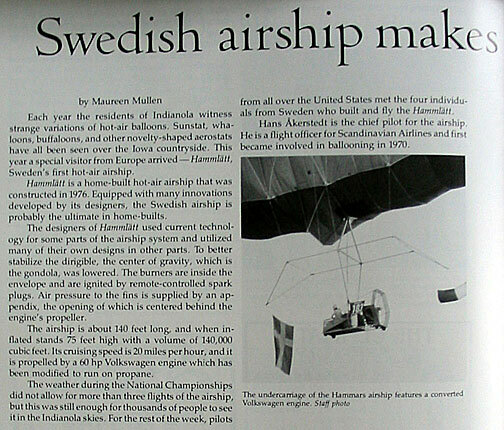 Swedish Type Acceptance was issued on September 25, 1979, and the Swedish Certificate of Airworthiness was issued on the 26th. 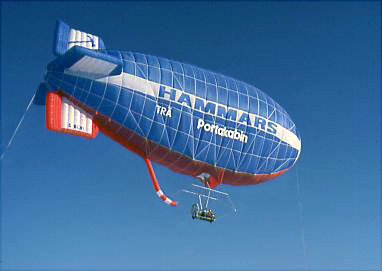 The Hammlätt had logged approximately 150 hours as of 1985, and at that time it was leased to an advertising company in Reims, France. 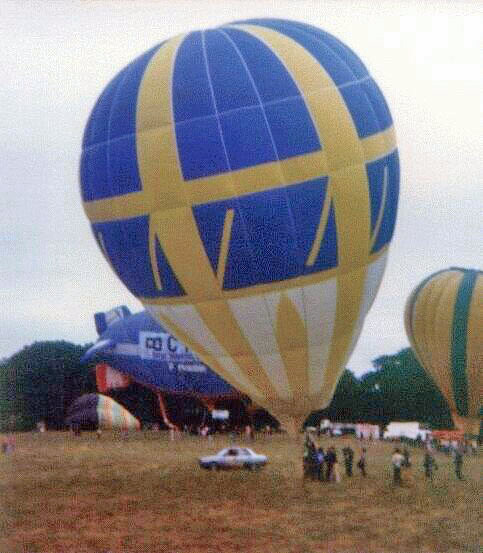 It has flown in Scandinavia, the USA, Portugal and France. 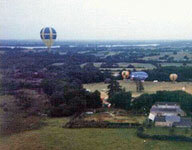 First night flight by Hot Air Airship.